In Studio Session featuring Joydhaam. 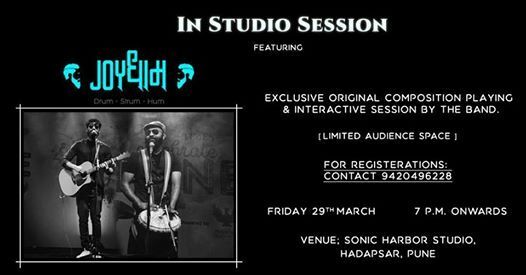 JoyDhaam is a two piece band based in Pune which is spreading the wave of community singing & drumming. 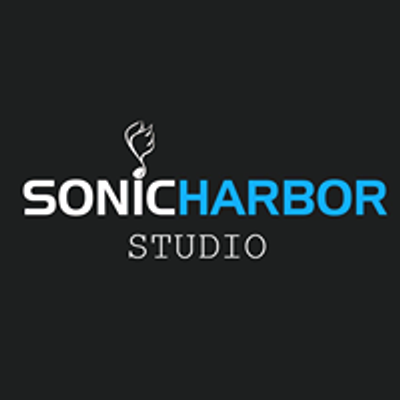 They are about to do a exclusive "In Studio" gig at Sonic Harbor Studios, which would have their original compositions and an interactive session with it's audience. It's a limited audience gig. Don't miss this amazing treat for your ears. For Registration contact: 9420496228. Fluid Acrylics - The Rainbow Art !